Step 1. 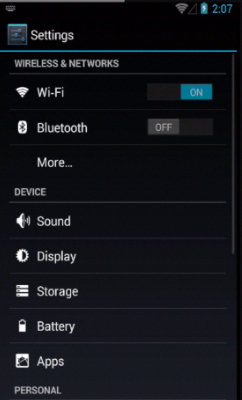 First of all, access your Android’s “Settings”. Step 2. 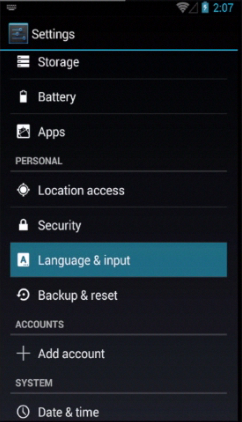 Then scroll down to select “Language and Input”. Step 3. You’ll probably see something like “Language” with chosen English language on top of the list. That’s where you have to tap. Result: Now let’s go back to main menu and make a little test: we’ll start writing an SMS to a friend. 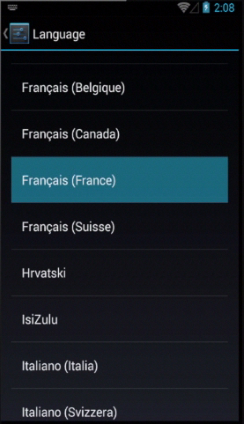 We see that the language of the keyboard has changed to French. Great!